Don’t make decisions based on sampled data. Get unsampled data today. It’s time to eliminate sampling. Analytics Canvas can help. Analytics Canvas offers you the benefits of unsampled reporting without the complexity. 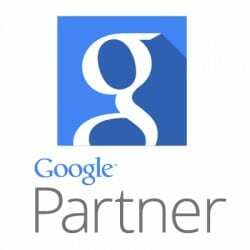 It provides various ways to reduce and eliminate Google Analytics sampling for both Standard and Premium accounts. Standard accounts with less than 500,000 sessions per day can partition their queries and receive a single table with unsampled data. 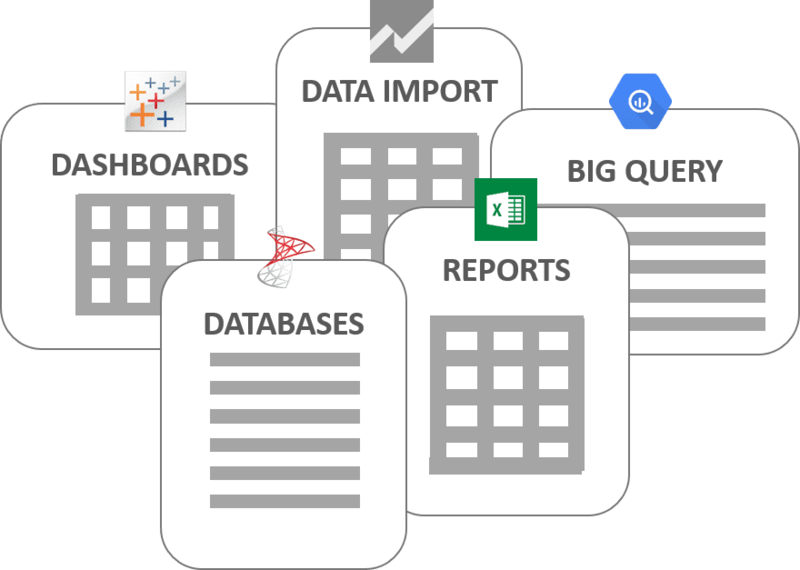 Premium accounts also have access to a visual interface into Google BigQuery and an Unsampled Reports Management Interface for requesting and downloading unsampled reports directly into Analytics Canvas. 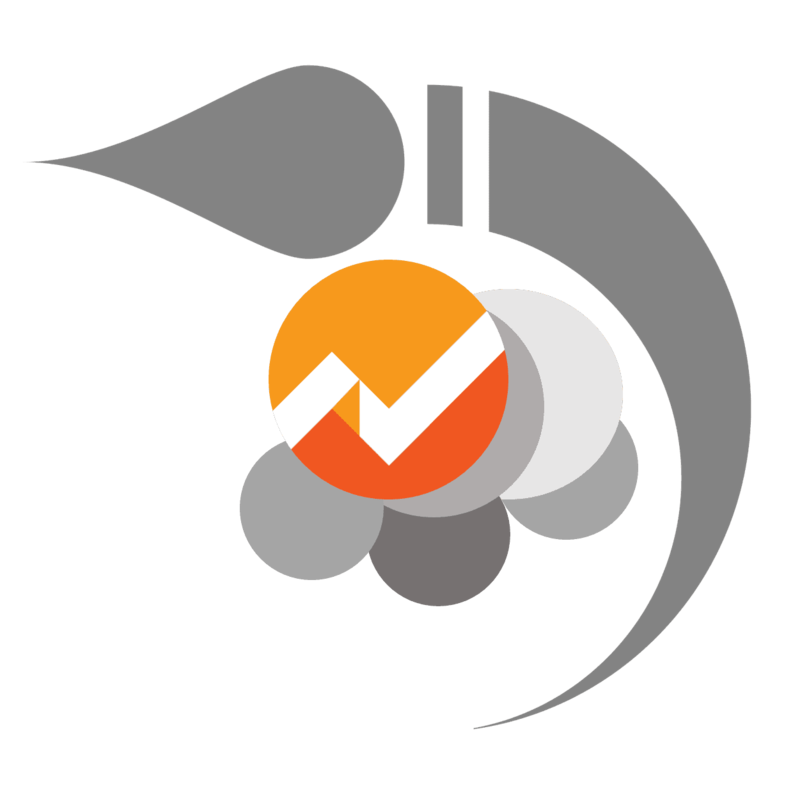 Read more about dealing with Google Analytics sampling on our blog. Pick the overall period for which you need the data and identify a time interval that is short enough that there won’t be more than 500,000 visits. 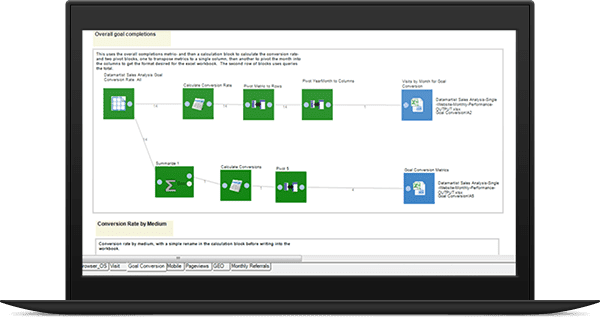 Analytics Canvas automatically makes a query for every period and consolidates the data for you. Make decisions with full confidence in your data. For example, say you want to analyze your website traffic for the past calendar year. You have large number of website users, but never more than 500,000 sessions a week. If you query a full year but set the partition to 7 days then Analytics Canvas will automatically break down your query into 52 parts and consolidate the unsampled data together. No sampling! 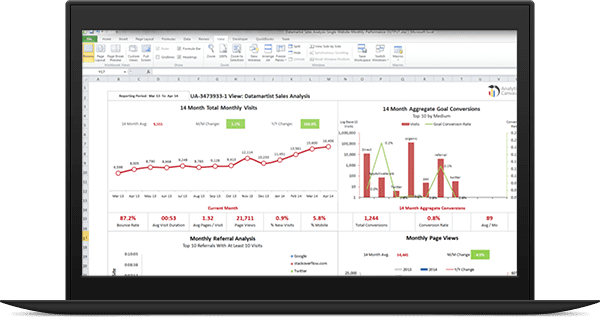 Define reports using up to 4 dimensions and 10 metrics. Preview results and build your analysis while you wait. When they’re ready, export them all with one click. 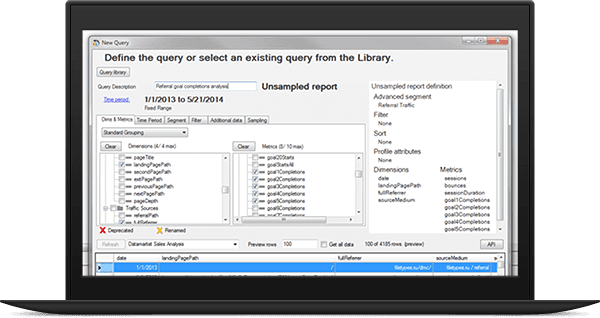 Pull reports created on the web or defined within Canvas and write them to a single workbook or directly to existing dashboards and databases. 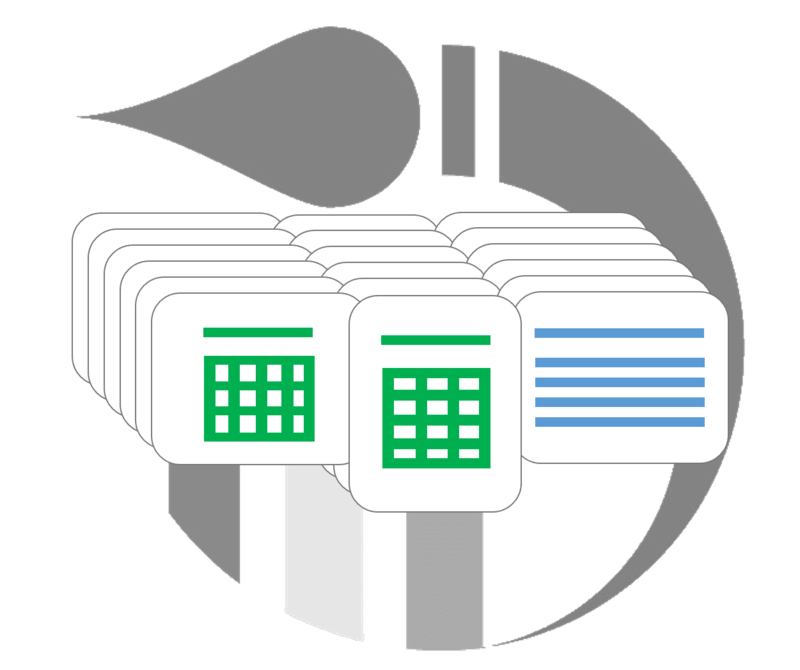 Drag and drop data builder lets you surf through datasets and do calculations that would bog-down most spreadsheets. Merge and join all without SQL. With your analysis complete, one click refreshes the data, performs calculations, formats the results and updates your dashboards, reports and databases. Analytics Canvas Enhancements Partitioning eliminates sampling where there are less than 500K sessions / day Full access to the unsampled reports API and a visual interface for scheduling and downloading unsampled reports. BigQuery SQL generation (beta). Reduce errors and get more in less time with a visual interface that automatically generates the complex BigQuery SQL. 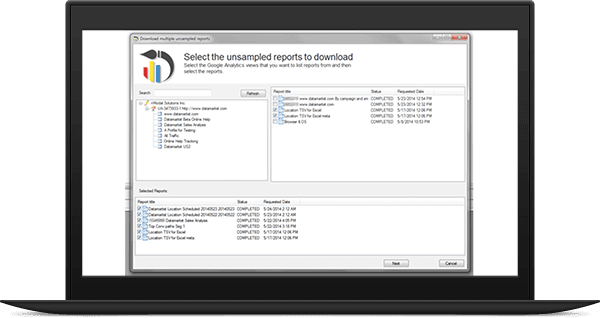 You can choose from one of three options: 1) Only schedule unsampled reports when there is sampling detected, 2) Preview the data so that you can start your analysis while waiting for the results, and 3) Use the core reporting API and partition the results for higher precision.